Make efficiency the order of the day when you combine our ergonomic mobile computer carts with our innovative storage solutions. Every Scott-Clark computer cart with storage is designed for high-performance and efficiency. We know that every facility and every ward uses computers differently. Your facility may only need to move a laptop on your cart, or you may need a personal computer with two large screens. What about peripherals? You might need a mobile printer or PACS viewing equipment. There's just no way to design a one-size-fits-all solution in today's medical world. That's why Scott-Clark has designed a single-frame cart that is easy to configure to your exact needs. 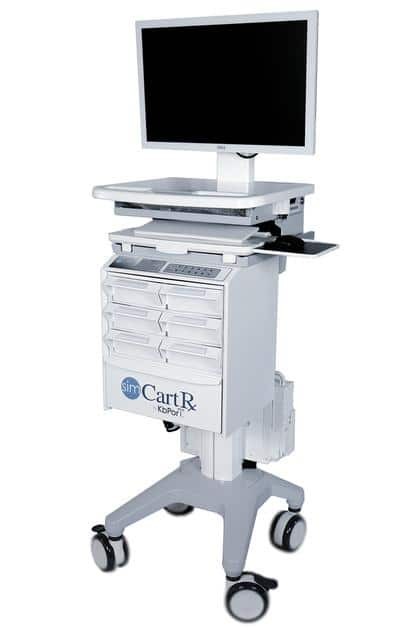 Our carts will carry computer equipment of any size including extra-large displays and vital sign monitors. 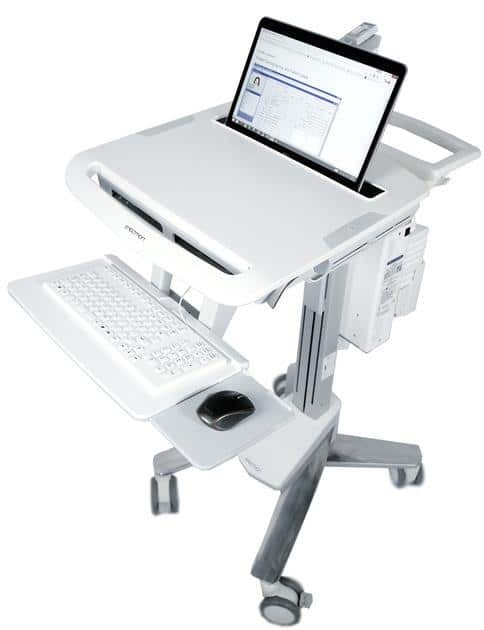 All our point-of-care carts are compatible with the most popular computer options like laptops, personal computers, notebooks, and tablets. You can also use multiple devices simultaneously. We also custom-design carts to hold multiple computers or change the size of the workspace where needed. Easy-to-add mounting will cater for printers, including label or wristband printers. The configuration options are endless. The same cart can be reconfigured time and time again as your needs change. Scott-Clark has a wide range of mobile carts with added storage. Our medication carts have secure storage drawers underneath the work surface. You can choose from cassette drawers or supply drawers in any configuration you need. We offer optional electronic locking on all our drawer types, which is perfect for high-risk items like medication. Choosing a computer cart with storage won't compromise the cart's mobility at all. Our carts are lightweight and easy to wheel around in the tightest spaces. The small cart footprint not only makes it easy to move in crowded hallways, but it is also easy to store when it's not in circulation.